This project consisted of twenty-four condominium units in Northwest Portland. This in-fill project took a small vacant 100’x130’ site across from an urban park and provided a high density housing solution with a varied unit mix. The mix included one bedroom and two-bedroom flats, and two-bedroom townhouses with roof terraces. 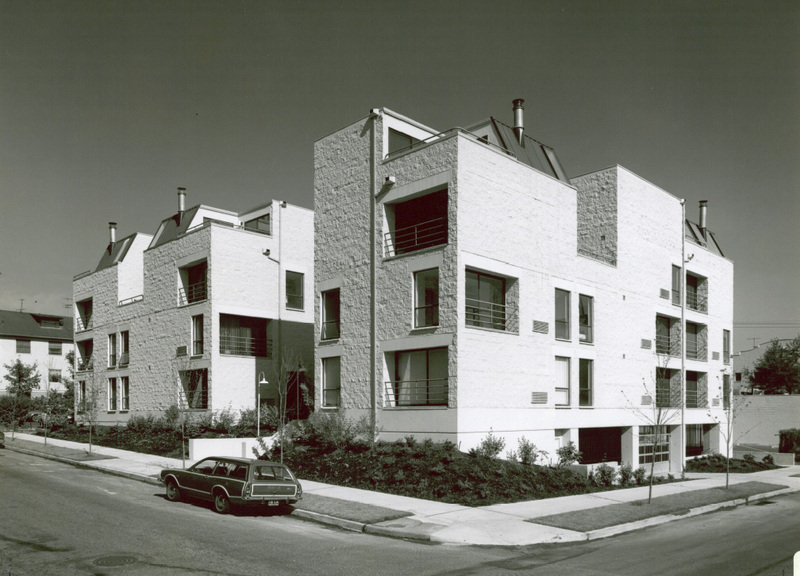 One of the goals was to provide each dwelling unit its own entry identity. 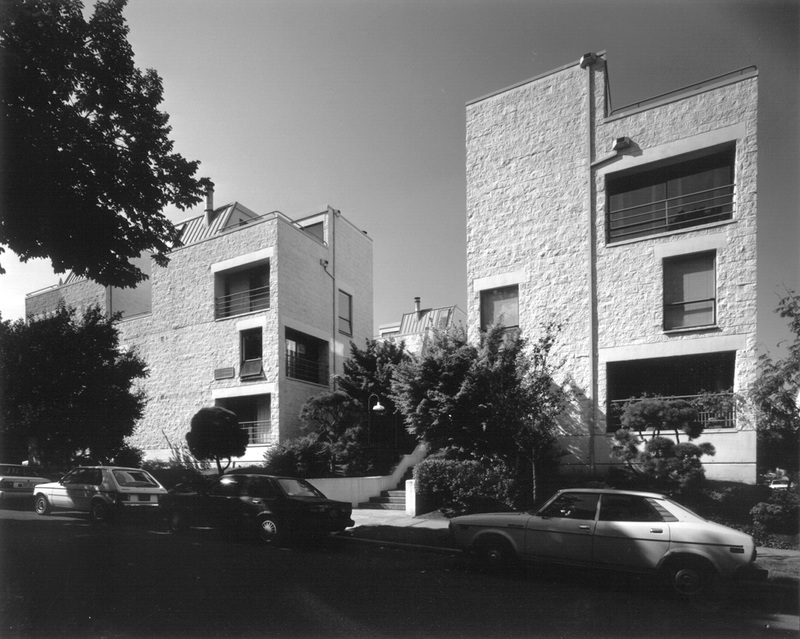 The design also sought to provide a hierarchy of exterior spaces similar to those provided by single family housing in the vicinity. 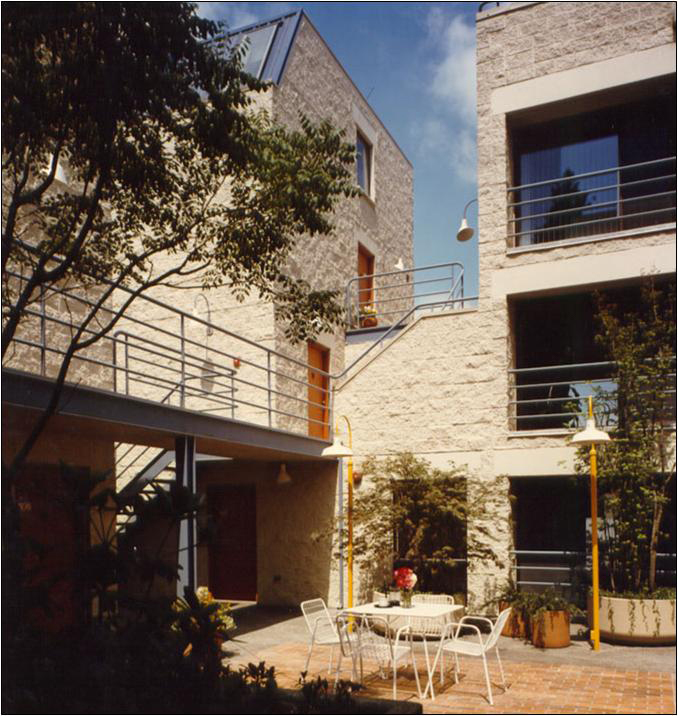 This was achieved by wrapping the site with the entire building to enclose a courtyard that terraced back and up to each level. In addition to this entry system, each unit has a balcony with space for potted plants. Each upper townhouse has its own private roof terrace.